“Be the change you want to see in the world “, Mahatma Gandhi used to say about half a century ago. Promoter of India’s peaceful evolution towards democracy and capitalism, the Indian leader had put India on the world map and made its values known​​. Today, more than 60 years after the death of this symbolic leader, India has become the core of the IT world with its capital at Bangalore – India’s Silicon Valley. Putting its work force on the line, the desire of success, an eclectic nature, its size, and especially the mathematical and scientific genius of its population, India has created an army of IT professionals that propels the world – as an emerging power – and threatens heavily U.S.’s position. Being a member of BRICS, India strengthens its status and allows it to turn her eyes, threatening towards the Pacific, over China. The two countries are old rivals, being in a state of competition for the status of hegemony in Asia. In 2002, Forbes magazine said that if China won the economic race, becoming the “factory of the world, India could become world’s technological laboratory” and innovation generates more power than manufacturing. The term “technological laboratory” should not be seen as a metaphor but as a recognition of India’s historical contribution to the evolution of humanity. Do not forget that it was on the territory of this state that the greatest math discoveries occurred: the invention of the number zero, the decimal system, arithmetic algebra, geometry and trigonometry. To this we can add that it has the oldest writing in the world (in the Vedas) and the first language (Sanskrit – which is the foundation of Indo-European languages​​). This list is intended to support the idea that assigning the term “technology center” to India is not random and that it is not only supported by a large number of young population and its desire to overcome the condition. This phrase is also supported by a creative genius which gave humanity some of the most important inventions. The most important resource of India has been and is the intelligence of its people and the flattening of the world has allowed it a massive export of intelligence – especially on the India-US direction. Recognized worldwide for the quality of IT products and services, India is the home of two major technology centers in Bangalore and Hyderabad. Bangalore is the capital of Asia in information technology, serving companies like Infosys and Wipro – two major Indian IT companies, which are interconnected with those in Silicon Valley. 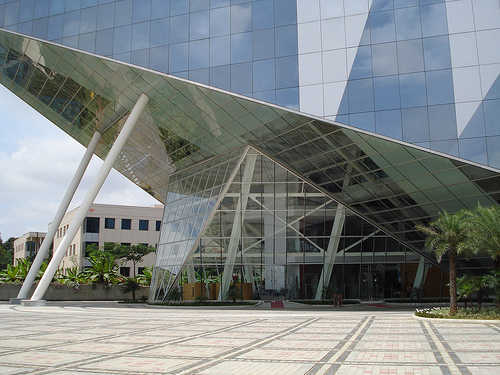 Hyderabad is the second largest technology center in India, which has acquired the nickname “Cyberabad” due to its transformation into an IT headquarters, genetic engineering and biotech. Globalization as well as the advent of the Internet allowed the development of the outsourcing process and offshoring. Specifically, many companies in North America and Western Europe have moved part of their production or services in Asia. While China took over a great deal of the manufacturing and production, India took over the services (call centers, online tutoring, medical examinations, etc.). The Dot-com period, but especially its collapse, allowed India to open the door to fascinating IT world. General Electric was the first American company who turned to India and entrusted it with the software production. The entry of General Electric in India had led to the affirmation of Wipro globally as a result of the developed partnerships undertaken by the two companies. This was followed by the emergence of numerous Indian call centers that gave informational and technical support to customers of companies from the U.S., Canada and Europe. Many companies have outsourced to India their typing services, the reading of medical radiography, online tutoring, so many Indian firms have emerged that offer these services. Even though India is an IT giant, we should not ignore that it is also a political dwarf, being torn apart by poverty, inequality, corruption, unemployment, bureaucracy, that do nothing but burden the country’s road towards being a global power. If Gandhi drew the democratic way of India and the Indian software companies have demonstrated their ability to compete with the U.S. in this area, the current leadership of India has to show that it has the ability to turn this country into a superpower.